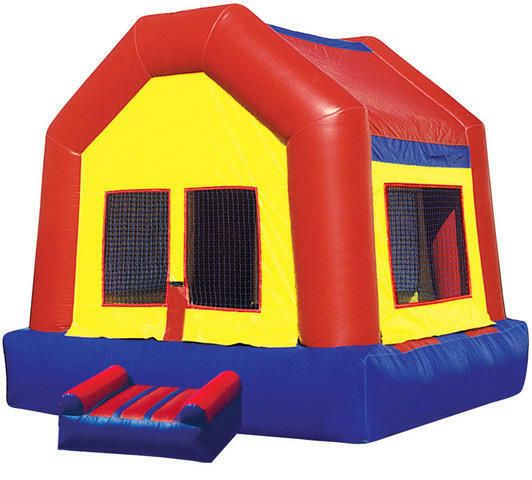 The large fun house bouncer in primary colors will be a great addition to any party, with 15x15 size it will fit in almost any yard and provide jumping fun for everyone. Boys or girls can enjoy this one indoors or out. 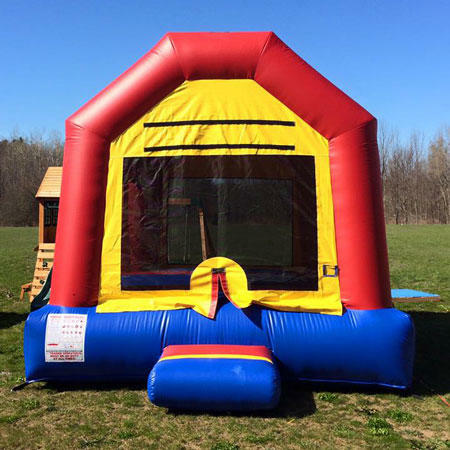 Great for birthday parties or school events. This commercial bouncer is manufactured in the USA.